After graduation, Bob undertook graduate studies in chemical engineering at Washington University in St. Louis. He then entered The University of Arkansas School of Law. After graduation from law school, Bob joined the Law Department of The Dow Chemical Company at company headquarters in Midland, Michigan. He provided intellectual property legal counsel to Dow’s consumer products and films businesses. In 1991, he was transferred to Dow’s Granville Research Center, where he originated and opened a new regional office of the Law Department and provided intellectual property services to Dow’s plastic foams business. In 1997, he was transferred back to Midland and served as senior patent counsel for the cellulose polymer and antimicrobials business. In 2000, he joined Ohlandt, Greeley, Ruggiero & Perle LLP, an AV-rated intellectual property law firm in Stamford, Connecticut. In 2007, he was elected partner and has provided intellectual property services to a number of the firm’s clients, including Avon Corp., Honeywell, ExxonMobil Chemicals, Toshiba, Schott Glass, and Solvay. His practice includes licensing, litigation counseling, patent application preparation and prosecution, and opinion drafting. He currently serves as course faculty in advanced patent prosecution at The Practising Law Institute in New York City. He regularly speaks to the bar and publishes concerning intellectual property law issues. 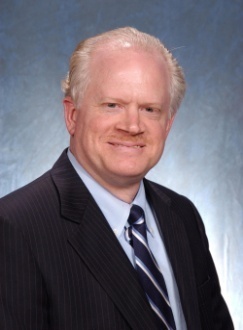 He also chairs the firm’s hiring committee and serves as Program Chair of the Connecticut Intellectual Property Law Association. He is also a member of the American Intellectual Property Law Association and Theta Tau Fraternity.